So says Liz Elting, co-founder and co-CEO of TransPerfect, the world’s largest privately owned language services and technology solutions company. And who would disagree. But Elting goes further. Writing in Forbes (see link) she claims that the lack of women in senior executive roles is not just a problem, it is also dangerous. Much of Elting’s evidence will be familiar to those who follow the gender parity debate; women hold less than 20% of board seats on Fortune 1000 companies, they are less likely to serve in the leadership pool, they get fewer opportunities and are passed over for promotion more often than men, and constantly have to prove that they are not just the equal of but better than their male counterparts in order to land the senior roles. All the statistics laid out by Elting, and many others, point to the fact that businesses which do not actively ensure that there is diversity in the boardroom perform less well, are less profitable and are less likely to recruit the most talented people into their workforce. Not to do so is wrong in principle and makes no sense commercially – but why is it dangerous? Businesses routinely make sub-optimal decisions, but I believe that the problem highlighted by Elting needs to be viewed through a different lens. The dangers are not the result of bad policy on board selection per se, they are caused by something very fundamental; the lack of engagement and dialogue on equal terms by men and women about the fact that gender inequality in the workplace is real and that everyone has a stake in resolving it. I have previously written about the duality of interest in gender equality bit.ly/2qoFa06 . Men have an equal stake in the decisions that women make about their roles as partners. parents and providers. Economies and societies work best where there is openness and accountability for the contributions made by women and men in the workplace. We have, hopefully, moved on from the battle of the sexes that characterised 20th century feminism. Today’s workplace is less divisive and more co-operative. Leading women business leaders like Liz Elting understand that this matters. Her own LinkedIn profile describes her as the daughter of a successful businessman, who learned quite a bit about the entrepreneurial spirit from watching her father, himself CEO of a leading global advertising agency. The solution to the problem is, on the face of it, straight forward. Men need to get involved in the gender parity debate and history proves that they won’t do so unless they are encouraged to recognise that they have an equal stake. And women need to see the men engaged. Firing rhetoric over the barricades such as, “Are the men in leadership so invested in maintaining their boys’ clubs that they’re willing to toss millions of dollars of potential earnings and savings out the door?” is counter-productive. Talk like this will just drive us back to our man-caves. These men who continue to dominate boards should constantly send out the message that striving for gender equality at the apex of companies, financial institutions, professions and public services is in the interests of all of us. Women CEOs have a duty to reinforce this message. If we do not start now using the language of mutuality, future generations of girls and boys in all societies across the world will pay a heavy price. That wouldn’t just be dangerous, it would also be tragic. 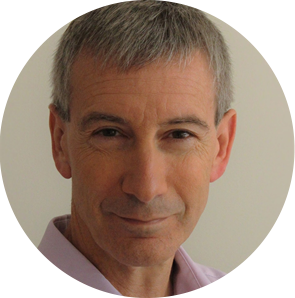 David Levenson is the founder and managing director of Coaching Futures. David coaches company executives who are coping with manifold challenges resulting from economic uncertainty, industrial transformation and technological disruption. David specialises in working with current and former employees who are going through a career transition, often the result of a re-structure or other unplanned exit from their organisation.